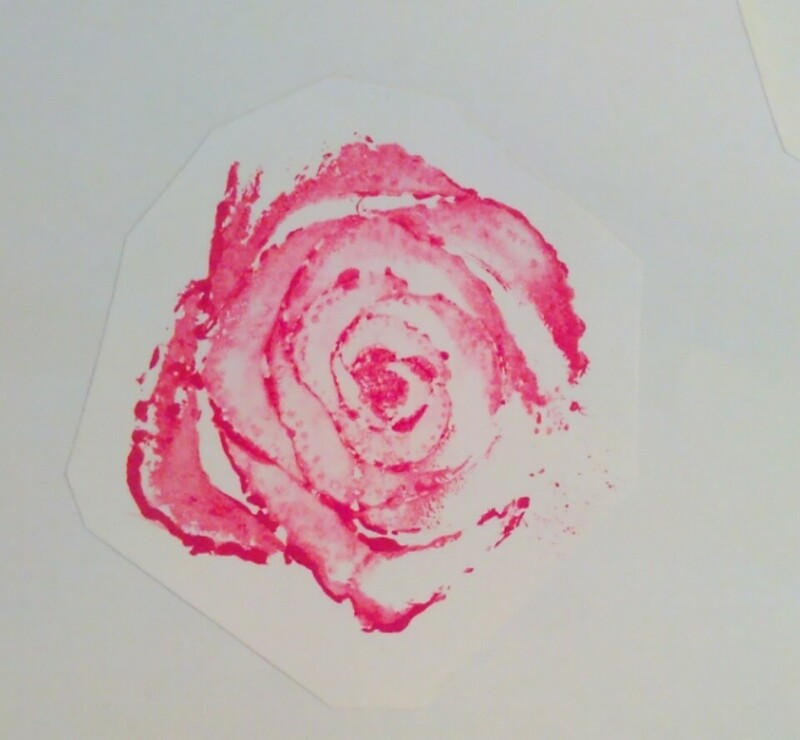 I love craft painting with stencils and stamps. And not all stamps have to be expensive. I have seen them carved out of erasers, foam rubber, even potatoes. 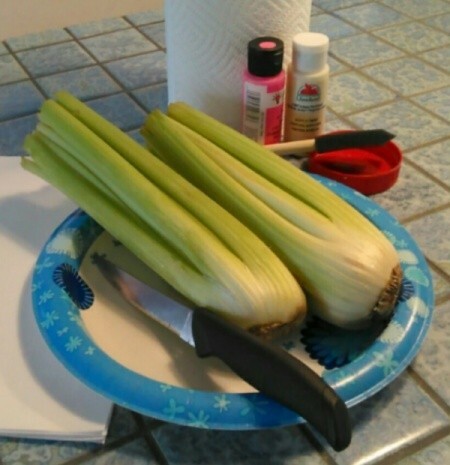 How about celery? 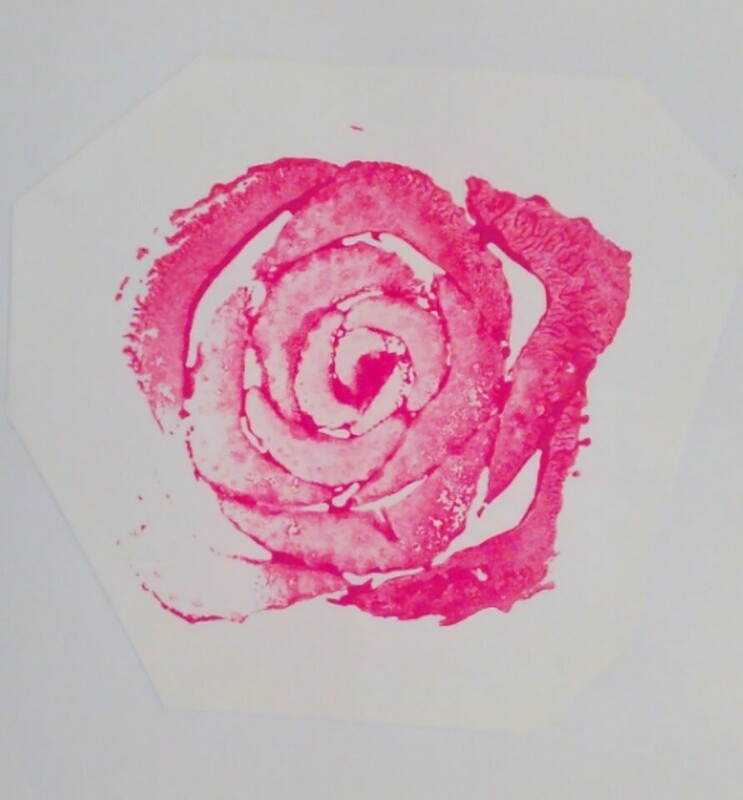 If cut near the root end and used as a stamp, celery leaves a surprisingly lovely "rose" imprint- let me show you how! Gather all supplies. 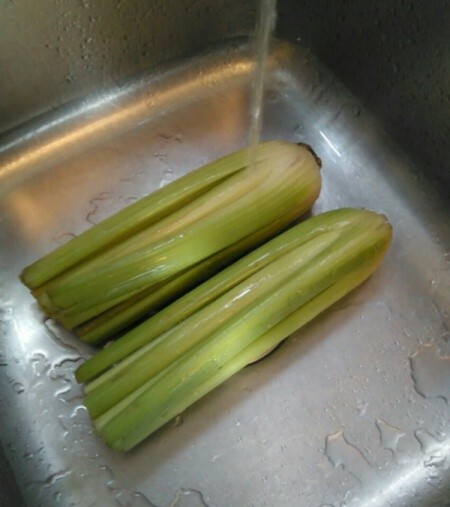 Wash and dry your celery very well. 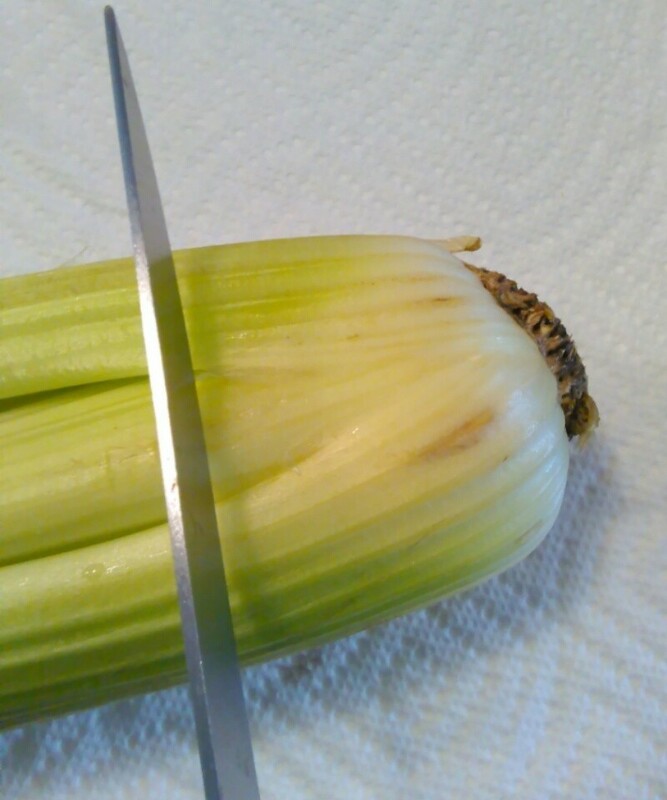 Cut your celery near the root end with a smooth knife. 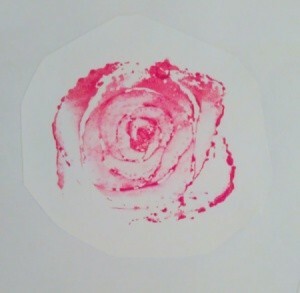 Your cut must be neat and parallel to the root end to make a flat stamp. 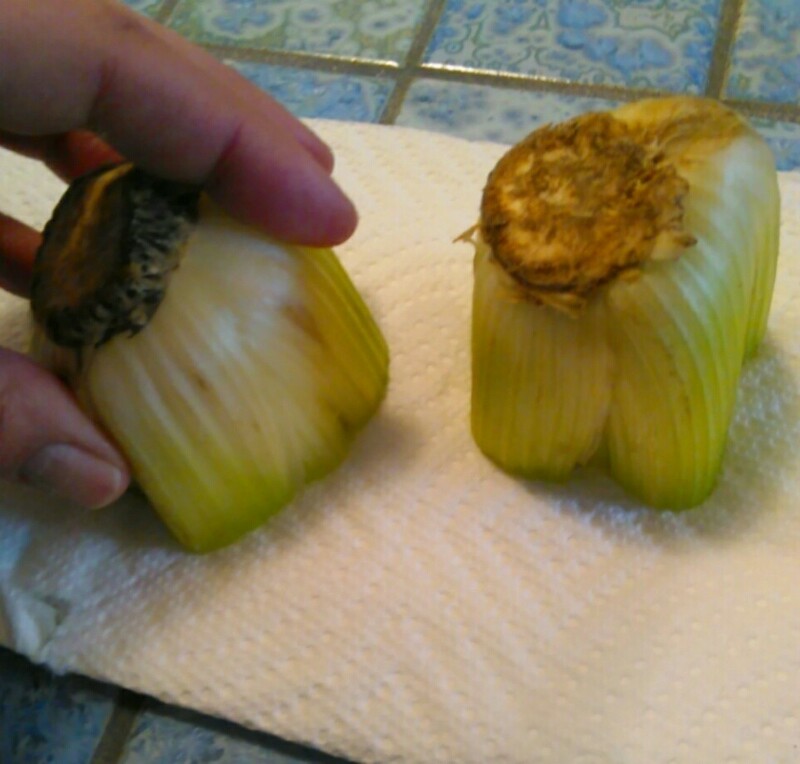 The closer to the root you cut, the closer together your 'petals' will appear. Turn your celery cut side down on a paper towel to make sure it drains completely. The stamp must be very dry. 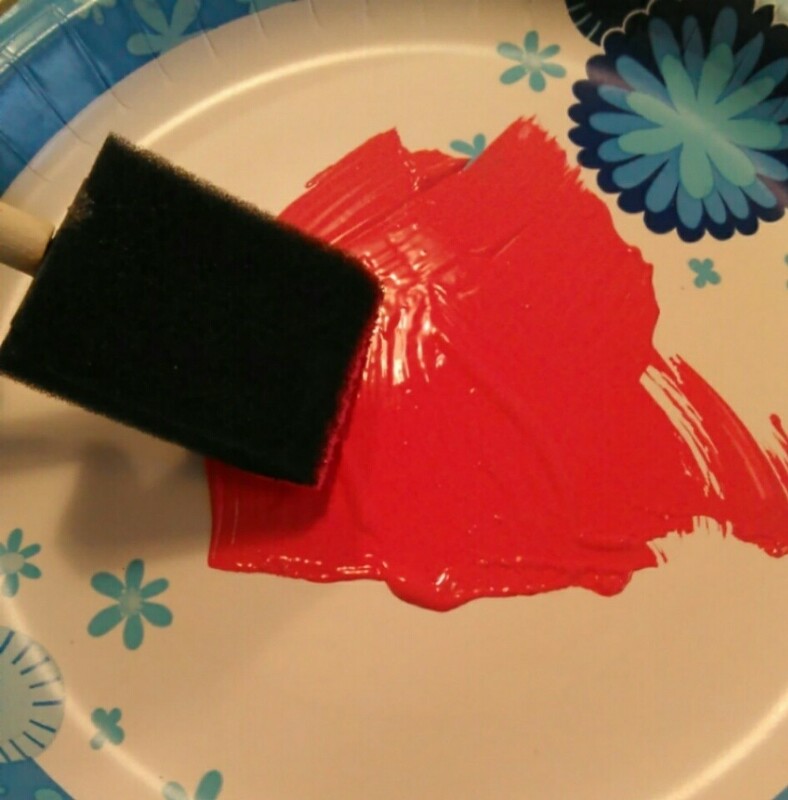 Pour a small amount of paint onto your paper plate. Brush it smooth and fairly thin. 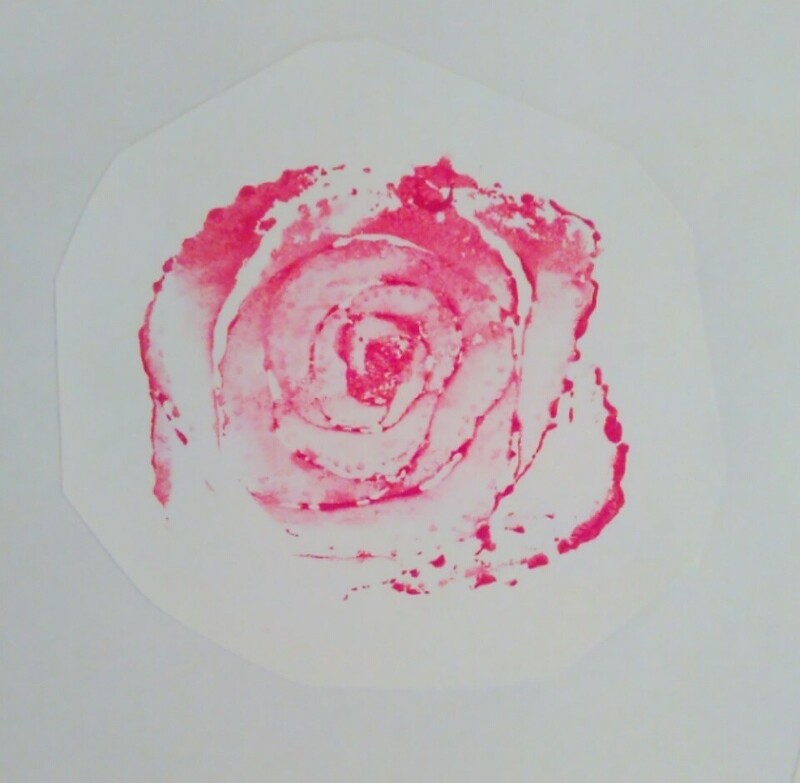 Practice makes perfect and you'll learn as you go how much paint gives you the look that you like the most. 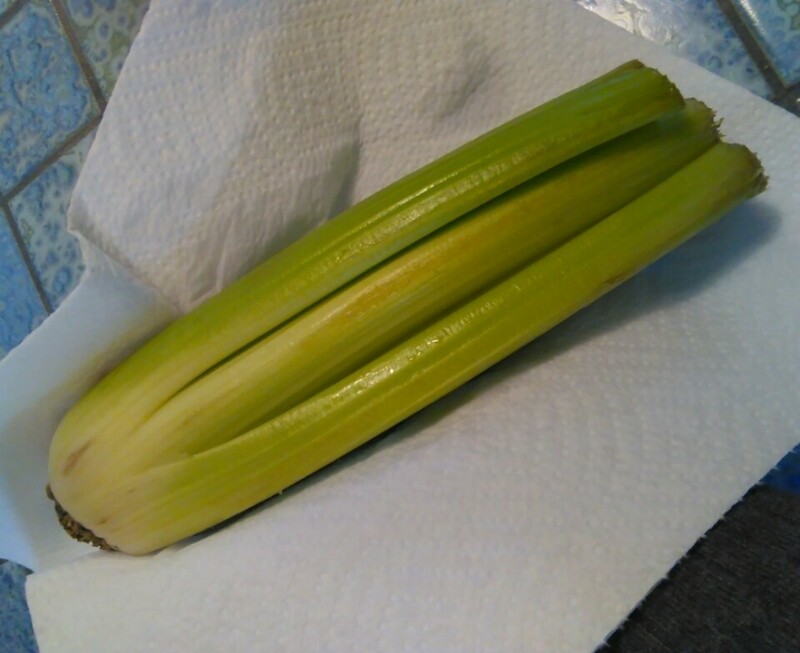 Make sure your celery is dry. 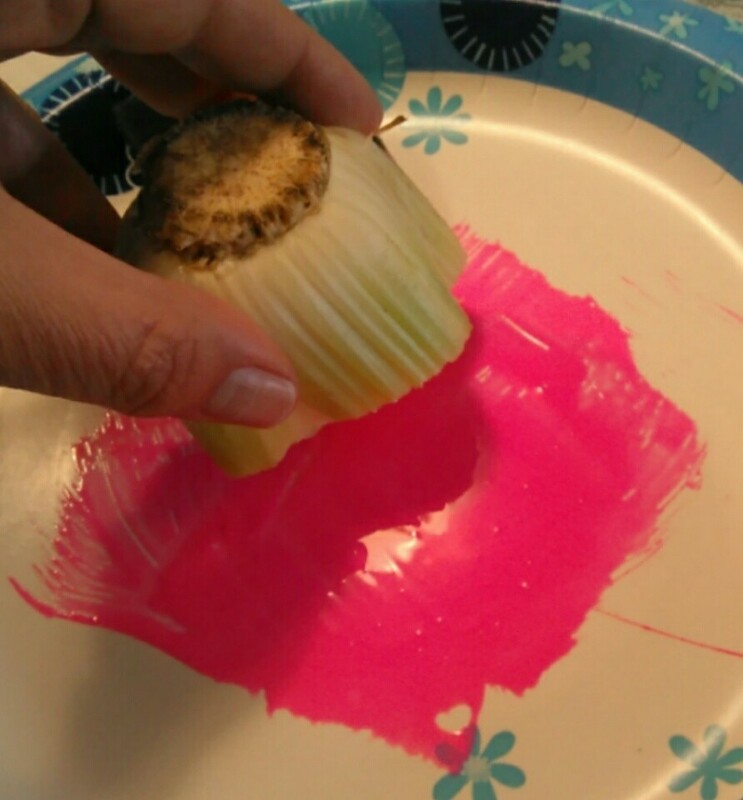 Dab it into the layer of paint until the cut end is covered. 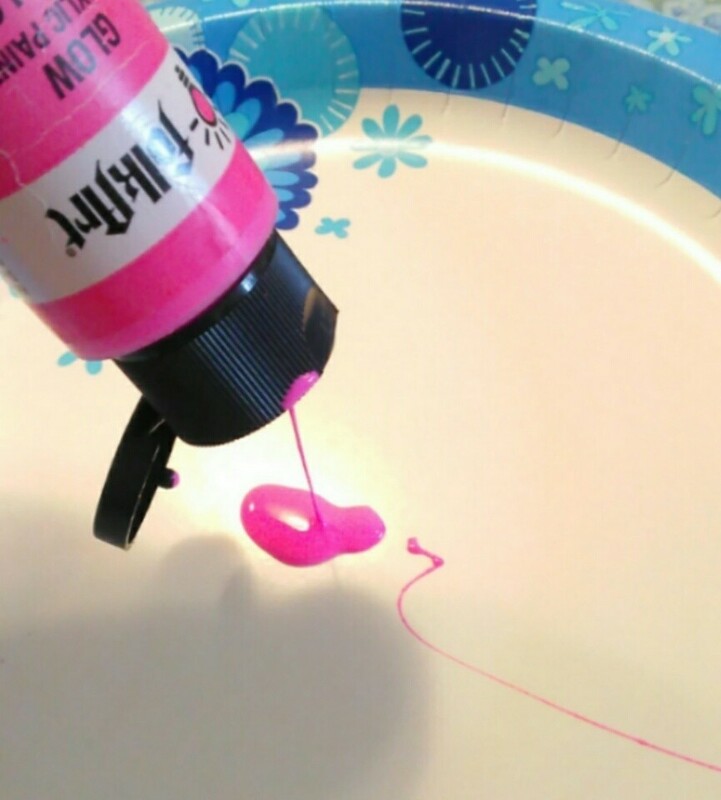 You can use your foam brush to help even out the paint on your stamp. I find that less paint works the best. 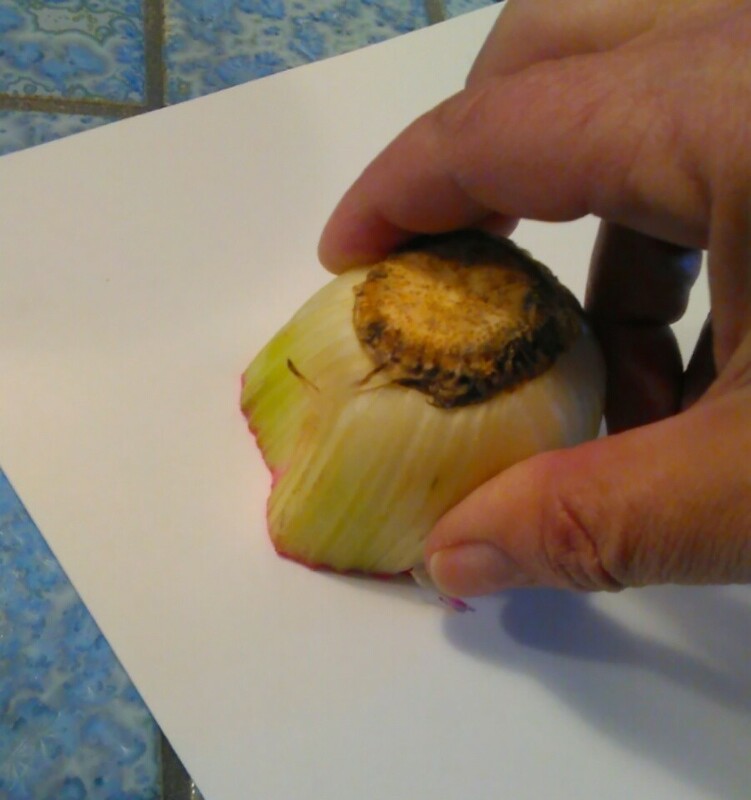 A firm surface under your paper yields the best results. Gently place your stamp on the paper, being careful not to let it slide around. Use slow, firm pressure to stamp; then slowly remove your stamp - viola! 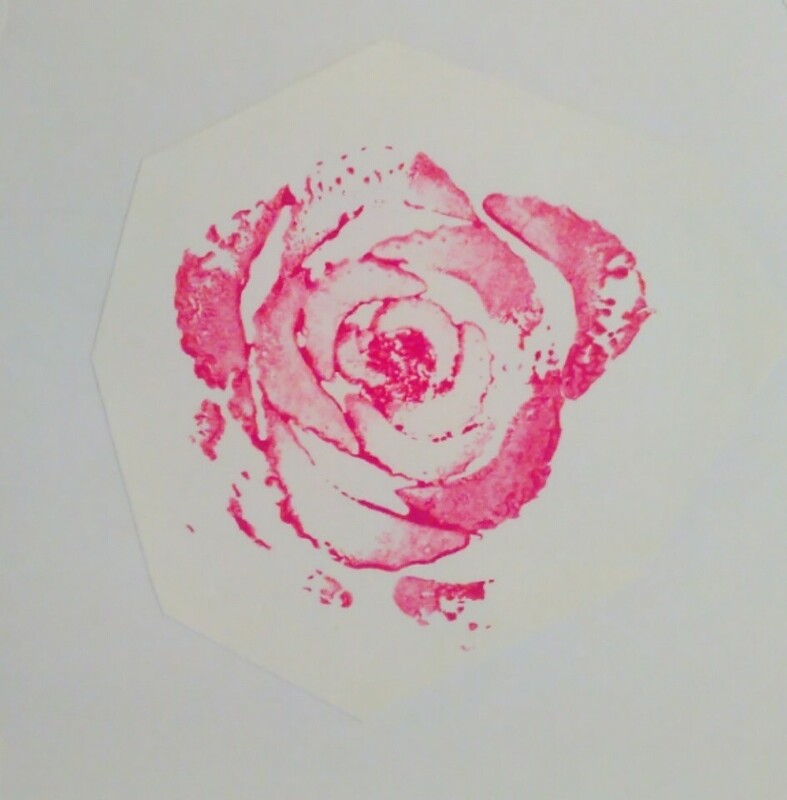 A lovely rose print from a humble celery stalk! Enjoy!